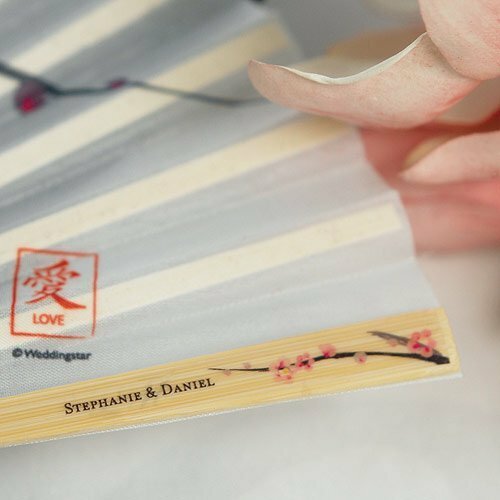 Designed to coordinate with our cherry blossom hand fans, these stickers go on the final bamboo rib and are a great way to customize them with your names and initial. Minimum order is 36 stickers. Be sure to check out our coordinating stationery and accessory pieces for a cohesive cherry blossom theme. 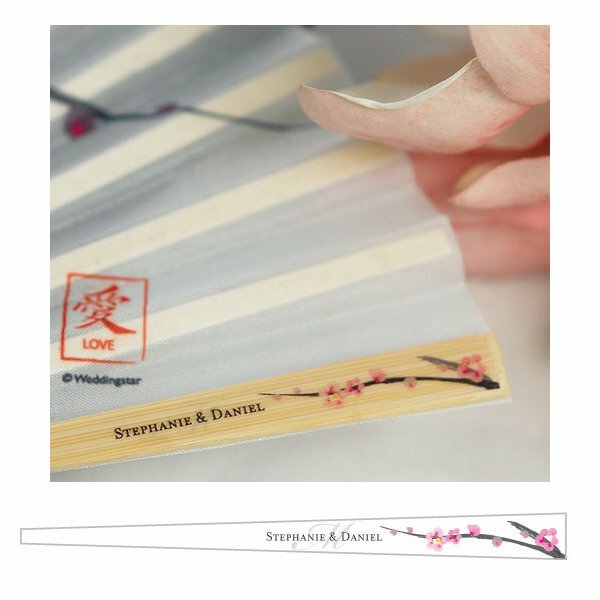 NOTE - Hand fans can be purchased separately (item 8573). Product dimensions - 4 1/4 x 3/8".